It is just a few weeks since the UN Human Rights Council – UN HRC completed its 28th session. While some are relaxing, others are worried, some have mixed feelings and many of us are disappointed and frustrated! There are many reasons for our disappointment and frustration. One reason was obvious to the High Commissioner for Human Rights – HCHR, the President of the UN HRC and others. This was the fact that the investigation report on Sri Lanka, expected to be out during the 28th session, was postponed to the 30th session. From top to bottom all could see the determination of the HCHR that the report should be out in August. Another reason for our disappointment and frustration was the speech made by the External Minister of Sri Lanka. There are many questions and doubts raised by his speech in the UN HRC on 2nd March, but I highlight one of the points made by the Minister with the intention of creating tension between the peace-loving Tamils and the Tamil-speaking Muslims in the Eastern province. 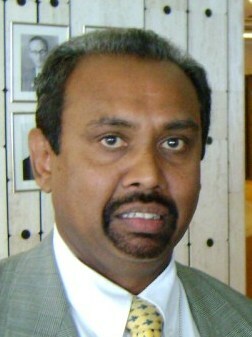 Mangala Samaraweera is a man of “cunningness” and “venom”. He deliberately said in his speech that, “In the predominantly Muslim Eastern Provinces, President Sirisena polled 71.84%….” Mangala Samaraweera has been in politics for so long that he cannot be ignorant of the statistics of the population in the Eastern Province. This proves that even though he speaks about “ethnic harmony”, he is for “ethnic tension”. A prominent Muslim Lawyer from the Muslim Congress and Mayor of Kalmunai, Mr Nizam Kariapper was attending the same UN HRC and made a speech in one of the NGO briefings. He never endorsed Mangala Samaraweera’s bogus claim about the Muslim population in the Eastern province. 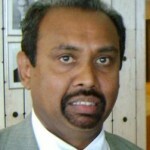 If one looks at the activities of Mangala Samaraweera, one will understand that this gentleman has a double tongue and is manipulative. Members of the diaspora who have only known him for a very short period, proudly wine and dine with him. They should not ignore the fact that this is the man who portrayed the Tamil political struggle as terrorism to the world. He played a major part in destroying the Tamil struggle. The other reason for us to be worried was the speech made by the United Kingdom in the UN HRC, under agenda item – 2. The UK representative said the following, “…The extra time will create an opportunity………. and make credible domestic progress on the crucial matters of reconciliation and accountability.” Tamil activists present in the UN HRC asked the UK delegation about that speech and were given the answer: “just ignore it”! What does that mean? In an international forum, especially in the UN, words are not expressed in order to be ignored. Speaking the Queen’s English, it couldn’t have been a grammatical mistake on their part. When we analyse the outcome of our lobby with various government representatives, we understand that the UK is paving the path for the present government to undertake a domestic inquiry. In other words, sooner or later the Tamils victims will be taken for a ride. While Mangala Samaraweera’s speech and the UK’s statement made us disappointed and frustrated, another bombshell fell, in an Amnesty International briefing held on Sri Lanka, during the same session of the UN HRC. Amnesty International organized a briefing on Wednesday 11th March 2015 in Hall XIX, between 12 and 1.30pm. This was chaired by the Amnesty International Geneva representative, Mr Peter Splinter. Quite a large crowd attended this meeting. Perhaps I should ignore something lacking in the way Amnesty International organised this meeting, or should we consider that the glaring gap among the panellists was never even realised by Amnesty International. Anyway, when it comes to Tamil victims, it’s a long term issue with many International NGOs. As soon as the panellists finished their speeches, the floor was opened for questions and comments! As usual, one of the most racist organizations in Switzerland, ‘International Buddhist Foundation – IBF’ took the floor and made racist remarks for more than five minutes. Peter Splinter had the greatest difficulty in stopping this speech. In response to what was said by IBF, I took my turn and gave them a reply on the spot. Then a veteran NGO activist in Geneva, Mr Adrian C Zoller, took the floor and broke a silence lasting many years, disclosing very important information which profoundly shocked many of the audience. Since 1990, we, the Tamil Centre for Human Rights, have worked with many mandate holders, despite many difficulties including the Sri Lankan government constantly slinging mud at us. We have given much confidential information, accompanied by affidavits sent to us by victims or their kith and kin. The UN Working Group on Enforced or Involuntary Disappearances – WGEID was one of the working groups which we, TCHR, worked very closely with, submitting hundreds of individual petitions and information since 1990. Even personally, I handed over many affidavits to then Secretary of WGEID, Ms Tamara Kunanayakam. 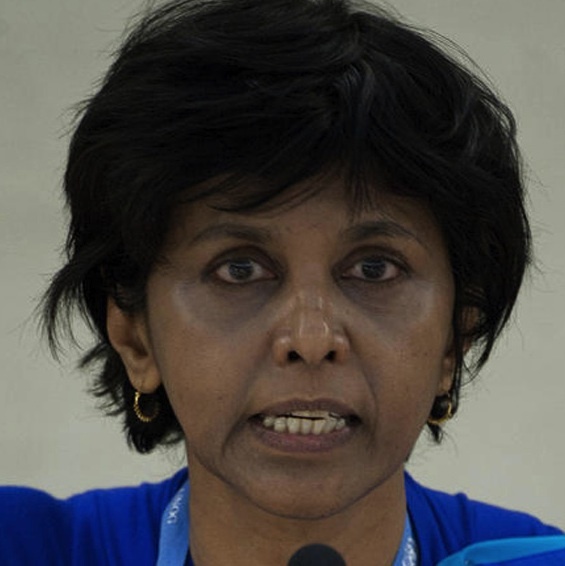 Adrian Zoller openly said in this meeting that while Tamara Kunanayakam was working as the Secretary to the WGEID, she had destroyed thousands of cases of disappearances on Sri Lanka and in return she became an Ambassador to Sri Lanka. One cannot ignore Adrian C Zoller’s comment! He is a well reputed NGO worker, known to everyone in the United Nations in Geneva for a long time. The whole hall fell silent when they heard this shocking news. In fact, I have several doubts about the cases that we the Tamil Centre for Human Rights – TCHR submitted to the WGEID. One question is, how can Sri Lanka remain 2nd to Iraq, in terms of largest number of disappearances, after all the many different activists working on Sri Lanka submitted so many cases of disappearances to the WGEID? For example, we submitted a detailed list of the people who disappeared in Jaffna and were buried in the Chemmani mass graves. What has been the development on these cases? While Tamara was working with the WGEID, I saw her having secret meetings with members of the Sri Lanka delegation in the corridors and nook and corners of the UN building. Anyone who has good knowledge of body language could easily understand that there was something fishy about those meetings. After the Amnesty International briefing, I met Adrian Zoller and had a chat. He explained many facts to me, in detail. He told me that this is a long story and he has written an article on this issue in a human rights journal known as “Human Rights Features”. Also Adrian told me that, as a consequence of all this, in 2003, the President of the WGEID was compelled to resign and so many other things have taken place. We have had some difficulty in tracing the cases we submitted to the WGEID. One of the reasons was that since Mahinda’s regime came into power our archives were transferred to various locations and some important files were stolen by some Tamil stooges. Adrian Zoller’s public statement leads us to fear that many of the cases that we submitted to the WGEID during Kunanayakam’s time were never processed. I am well aware of the problems between Kunanayakam and Samaraweera. As far as we are concerned both are on the side of human wrongs. So I have no intention of slinging mud at Kunanayakam, taking the side of Samaraweera. I am very well aware that she is in the process of taking legal action against Samaraweera. Here I am writing what Adrian Zoller said in a public forum during the 28th session. The audience in this meeting included a representative from the Sri Lankan delegation, IBF representatives and many other activists. We strongly believe that at least now, the WGEID has a duty to look into this accusation by Adrian C Zoller regarding Tamara Kunanayakam’s deletion of files on disappearances in Sri Lanka. WGEID should look into this matter before they make their visit to Sri Lanka. If Kunanayakam really destroyed the cases of disappearances in Sri Lanka – the OHCHR, HCHR, WGEID and the whole UN system is answerable to the victims, regarding this barbaric and criminal act. This article may give an opportunity for old friends, Mangala Samaraweera and Tamara Kunanayakam to be united again on the basis of ‘human wrongs’ and ‘cover-ups’.